Gen. Robin Rand took the helm of Air Education and Training Command in a ceremony at Joint Base San Antonio-Randolph yesterday. Rand, former commander of the 12th Air Force at Davis-Monthan Air Force Base, Ariz, takes the reigns from Gen. Edward Rice, who is retiring after 35 years in the military. Rand, a 1979 Air Force Academy graduate, is a command pilot with more than 5,000 flying hours, nearly 500 of them in combat. He has also had staff tours on the Joint Staff, Office of the Secretary of Defense and Air Staff. In remarks, Rand said he first arrived at the base as a second lieutenant more than three decades ago for T-37 instructor pilot training, according to a base news release. “Never in my wildest imagination would I have envisioned being here on this stage today. If there is one word to summarize my emotions today, it would be grateful,” Rand said. As head of AETC, Rand will oversee Air Force recruiting, training and education. “Let no one forget that these phenomenal airmen are fully engaged and they and their families work and pay for their service with blood, sweat and tears. Let no one forget that each and every one of these airmen got started, shaped and molded in the first command, right here in Air Education and Training Command,” Rand said. “I will do everything humanly possible to ensure the airmen trained in first command will be prepared to carry the nation’s load,” he said. 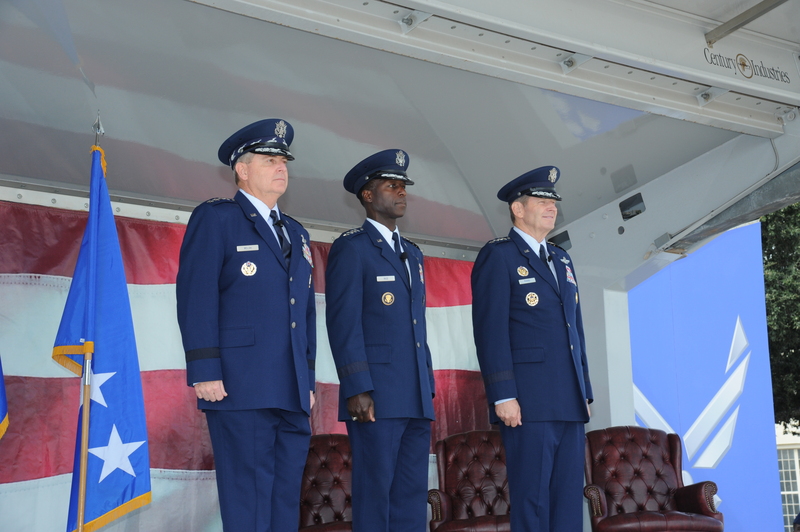 Chief of Staff Gen. Mark Welsh presided over the ceremony. Gen Rand is an OUTSTANDING officer, leader, and Airman. Had the honor of working for him, and those I’ve met that had the same honor all have a similar opinion. Our Air Force is stronger and better because of this man.